We made a special purchase of Micro Tungsten Cylinders, and we are offering them at a very low price. At $2.95 per ounces, it is the least expensive tungsten on the market today. 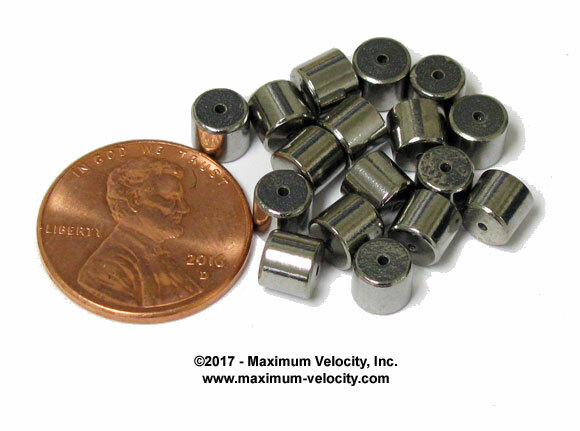 Micro Tungsten Cylinders are typically used as trim weighting for cars. They can be inserted individually into holes (drill 13/64), or can put poured into a larger hole or cavity. Secure with epoxy or hot glue.